Win 1 of 12 Book Bundles! Giving away Book Bundles every 6 minutes! Question 1 (9:00pm): Scholatic’s research on top trends in children’s literature found that LESSONS ON KINDNESS WILL BE KEY. What is your top concern? Question 2 (9:05 pm): One new controversy in children’s book publishing is who should write from a minority point of view? What do you think? Question 4 (9:15 pm): I’m noticing characters where they happen to be diversity but that’s not the point of the story. How do you feel about that? Question 5 (9:20 pm): Do you have a preference for traditional books versus ebooks? Does it change for children’s books versus adult books? Question 6 (9:25 pm): Self published books versus big publishing companies. What makes you buy a self published book? Question 7 (9:30 pm): What diversity children’s books, authors and/or illustrators do you think deserve more recognition? Let’s give them a shout out! Question 8 (9:35 pm): What do you think is the best way to get more diversity and multicultural children’s books published? Question 9 (9:40 pm): What diversity topics in children’s books are you having trouble finding? 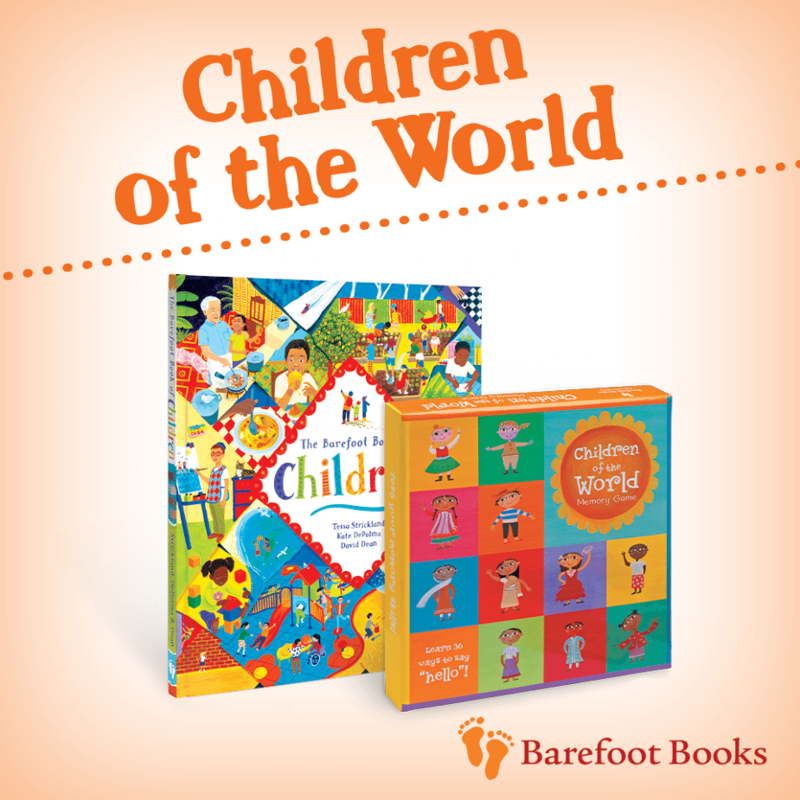 Meet children from all over the world and boost global awareness with this unique gift set! Use the memory game to reinforce knowledge about other countries and cultures, and The Barefoot Book of Children to start conversations about diversity, inclusion and the many things all children hold in common. Question 10 (9:45 pm): Scholastic top trends in children’s books also shows that “FUNNY” IS STILL NUMBER ONE. What gets your kids reading? Question 11 (9:50 pm):What are the diversity children’s picure books and chapter books that you and your kids recommend and why? Question 12 (9:55 pm): What is the message you want to tell publishers and authors with regard to diversity in children’s books? This looks wonderful, Mia–too bad I’m not on Twitter!! Good luck! Maybe this will persuade you to get on Twitter …? I hope so! Thank you for your support of MCBD over all four years Erik! We really appreciate it! Multicultural books empower children with different cultural background and heritage! Congratulations, Mia & MCBD! Looking forward to it! Thanks so much for entering Ms. Panda! Great selection of books! Hoping to be able to have some titles to add to our Elementary Media Center. Thanks so much for entering Cheryl!